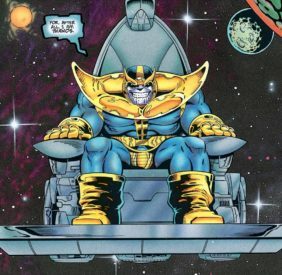 In honor of Avengers: Infinity War, Henry jumps in on a very special episode of the Divisive Issues Podcast to talk about how the strange, storied history of everybody’s favorite Mad Titan, Thanos! 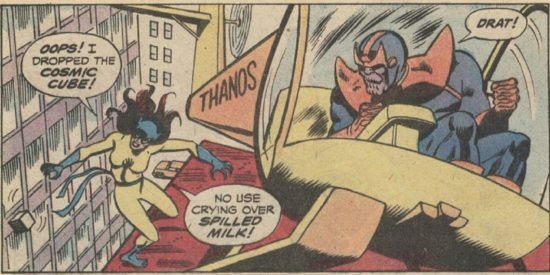 Hear about the early adventures of Jim Starlin’s signature creation and the infamous Thanoscopter story, where Thanos loses the Cosmic Cube to a small child! Then, check it out as Henry and the D.I. crew explore Thanos Quest, the original story that details Thanos’ hunt for the fabled Infinity Gems! The building blocks of Marvel’s cosmic adventures unfold here! If you would like to see us return to more regular Podcast material, let us know through our Twitter or Facebook! And be sure to subscribe to the Divisive Issues Podcast for more incredible content! And as always, be sure to visit www.MidtownComics.com to find all of your comic needs!